At Dwayne Burbach D.D.S. 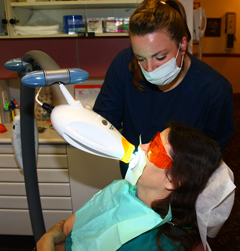 Inc. your oral health is our highest priority. We’ll set up a routine exam and cleaning schedule for you—we’ll even remind you when it’s time for another dental checkup because we know you have important things to do with your time. Our dentists and staff are trained in the latest techniques to restore your mouth to complete health. We use the newest materials and will give you a beautiful smile. Whether you need fillings or a crown we’ll make sure that it is both functional and aesthetically pleasing. There are many ways to restore missing teeth. We will explain all of your options. From bridges and implants to partial and full dentures, which ever you choose, we will provide quality restorations that last for years to come. We are dedicated to giving you the smile you've always wanted. From teeth whitening and bleaching to completely restoring your smile with crowns and veneers, our office offers the latest technology that can give you the smile you have always dreamed of. We are highly trained in the area of root canals. We will not refer you out of our office, wasting your money and time. We'll make you feel comfortable and secure. As always, we're happy to answer your questions about any procedure. Having a tooth removed (extraction) can be frightening for many people and we understand that. Our friendly staff will make sure you are comfortable and relaxed during the procedure. Whether it be a baby tooth, adult tooth, or wisdom tooth, we remove them all. Our teeth help form the shape of our facial muscles. The lack of teeth causes premature aging and does not allow you to chew your food well. Our dentists and staff will bring the bite back to a normal position. We will fill in the gaps and spaces for greater chewing efficiency and help contour your face for a more youthful appearance. 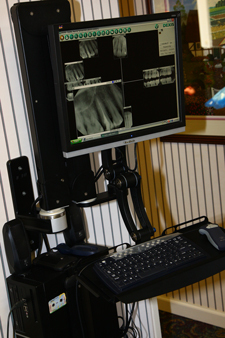 High-tech dental equipment is making dental treatment easier for both dentists and dental patients. We pride ourselves in keeping up to date in the dental technology field. 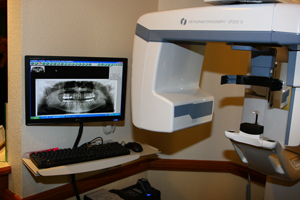 Our digital x-rays deliver innovative, high quality digital imaging to help us find and diagnosis problem areas in your mouth. We are a general "family" dentist because we love working with children. 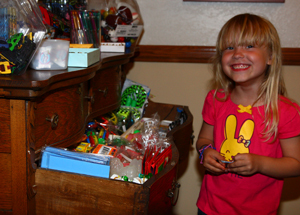 Many of our current patients are the children or grandchildren of our first patients when we started in Atascadero. This makes it convenient to take care of all your family's dental needs under one roof. A visit to the dentist can be a scary thing for a child, and our kind staff will make sure your child has a pleasant experience.